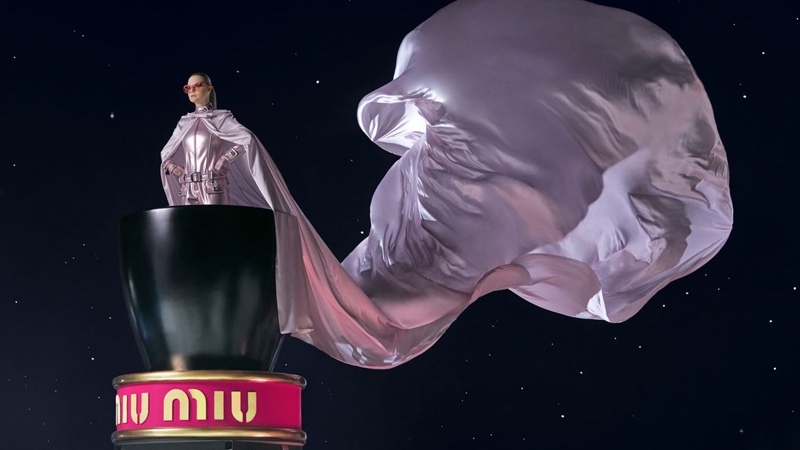 Starring as the face of Miu Miu's latest fragrance offering 'Twist' is actress Elle Fanning, who has been the star of Miu Miu's ready-to-wear campaign for several seasons. The young star is a pretty sight as she is photographed for the fragrance campaign by the noted photographer duo of Mert & Marcus. For the campaign, Elle wears a feather embellished gown and poses against a space backdrop. Also starring in a short video advert for the scent, the actress poses in a sci-fi inspired setting, with the word 'Miu' playing off. 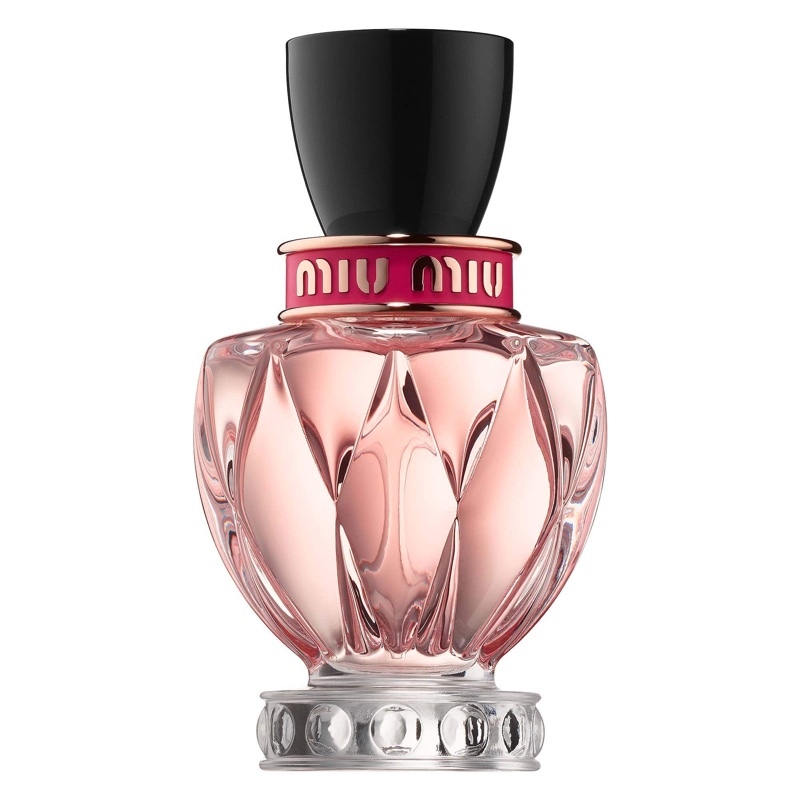 The Miu Miu Twist perfume is described as a fruity floral scent with notes of apple blossom, pink amber accord and cedar wood, and retails for $97-$125.